What can I do when I feel sad? Sometimes little things make a big difference for your mental health. When you have a mental illness (or multiple mental illnesses) there can be a lot of variety in your mood. Sometimes a hard day can hit you out of nowhere, sometimes you can sense one coming, and sometimes the hard days never seem to end. Here are five simple ways I fight the hard days. Even if you don't do it right when you get up (though that is ideal) make your bed. It makes your room look neater and prevents you from being as likely to crawl back into bed after class. If your desk is functional and cute you'll be much more likely to use it. Don't do work in your bed. Just don't do it. And if your desk is a mess that will not allow you to get good work done so make sure it is organized and ready for you to use. 3. Diffuse uplifting essential oils! 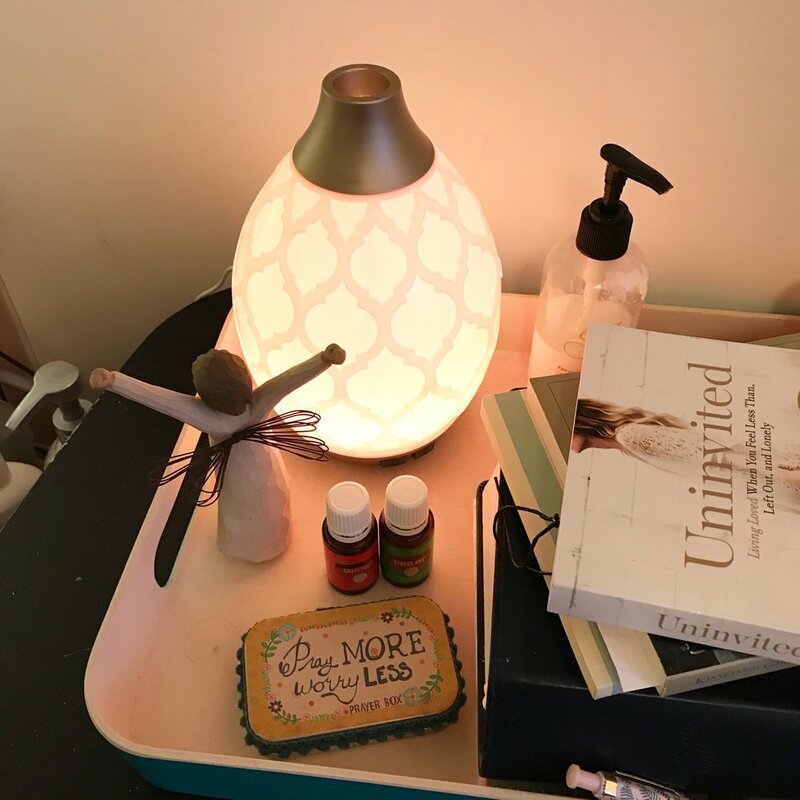 Diffusing really helps me when I'm having a rough day. Just like smells can bring back memories they can also affect emotions. By diffusing certain oils you can improve your mood. When I need to focus I like to diffuse citrus fresh and peppermint. Do whatever you have to but get enough water. Drinking enough water does wonders to your body. And it is really hard to take care of your mind if your body is also not doing well. Drinking water is an easy way to feel better physically and mentally. I am the worst at this. When I am having a rough day, the last thing I want to do is cook, and if I have to go to the grocery store it is basically not happening. So I try to buy plenty of frozen vegetables when I do go to the store, that way I at least have them available when I can't go to the store or plan elaborate meals.